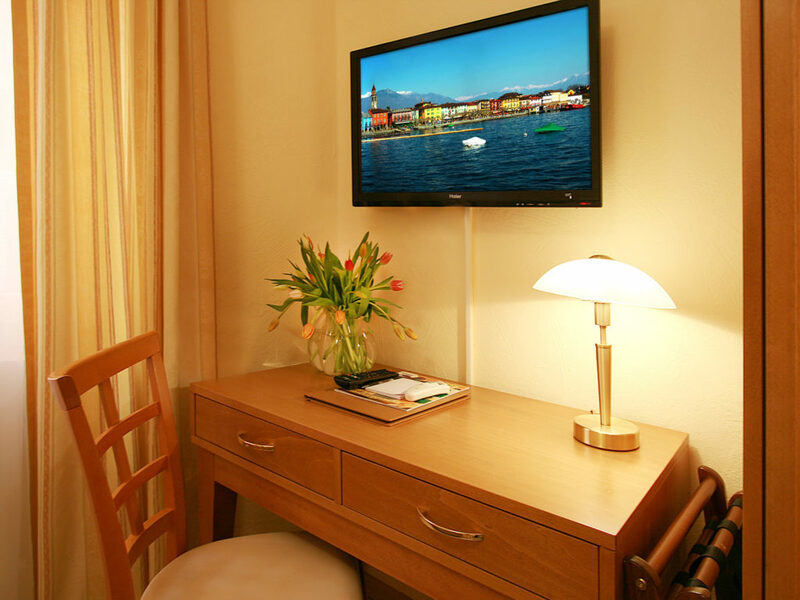 All rooms are lovingly furnished and equipped with shower / WC, hairdryer, cable TV, W-LAN and a safe. 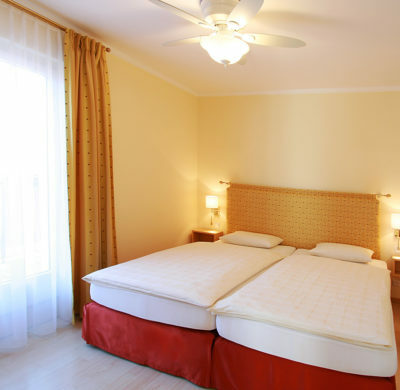 Most rooms have air conditioning, while others have a ceiling fan. 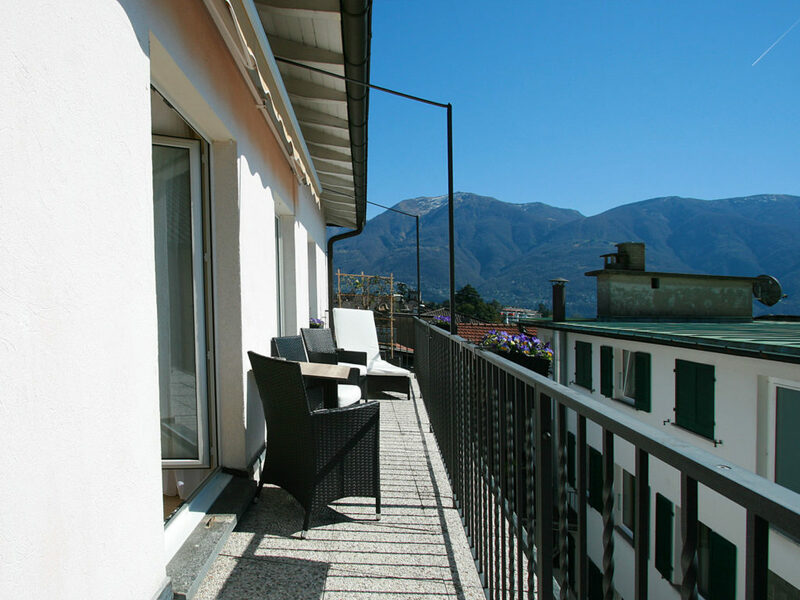 facing either our courtyard or the small side lane (vicolo Sacchetti). 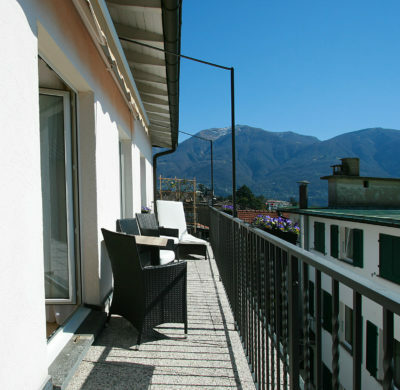 Some rooms in the third floor are with balcony! 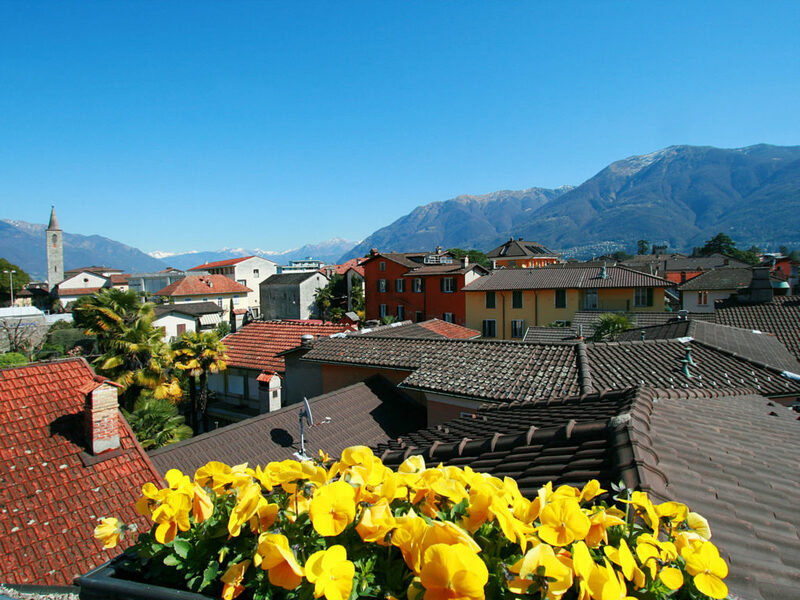 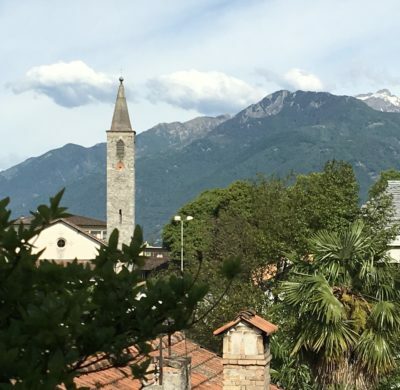 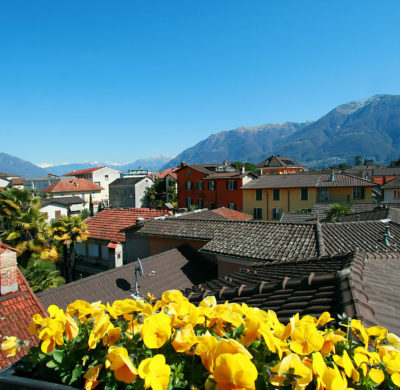 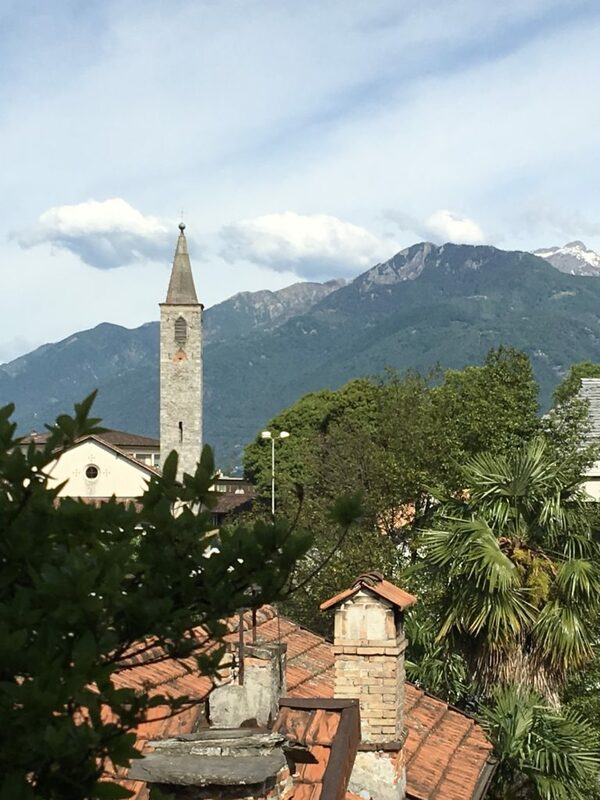 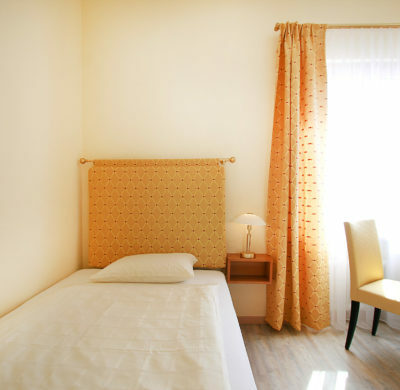 This rather small single room (10m2) is lovingly, simply and appropriately furnished. 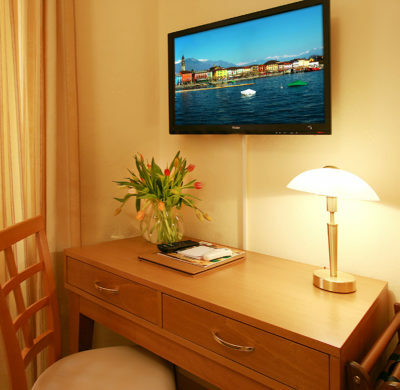 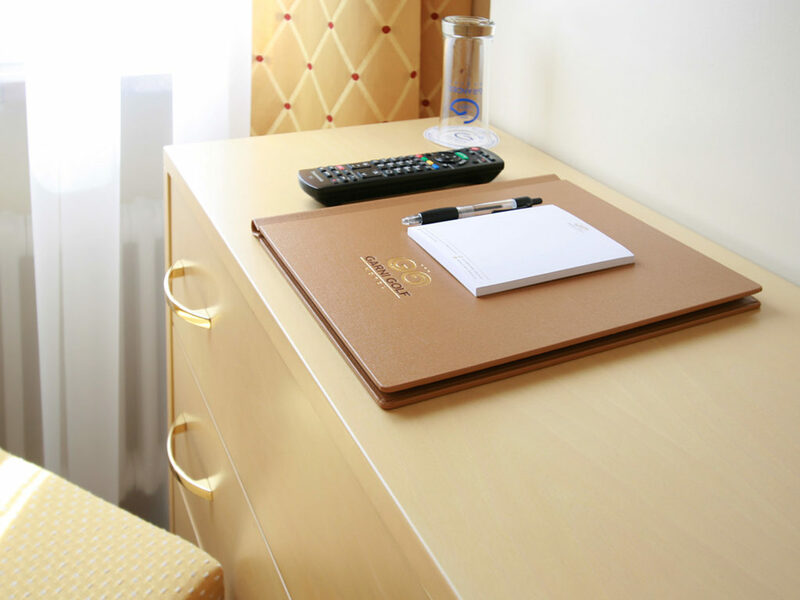 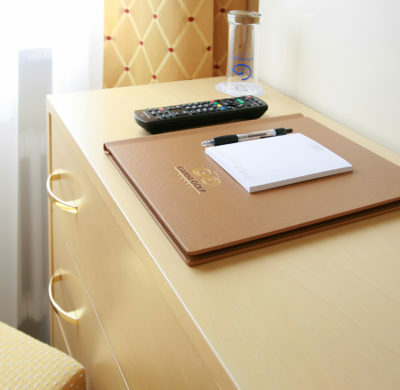 Here you will find everything you need for a pleasant stay – and if you miss something, we will take care of it. 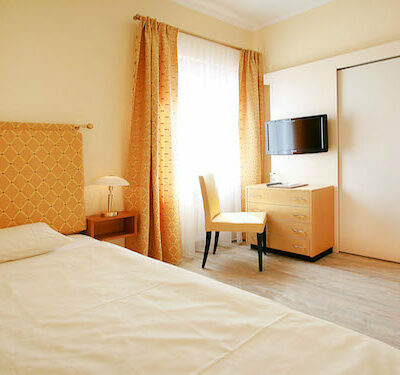 These rooms are distributed on all floors and have a king sized bed (140cm-160cm). 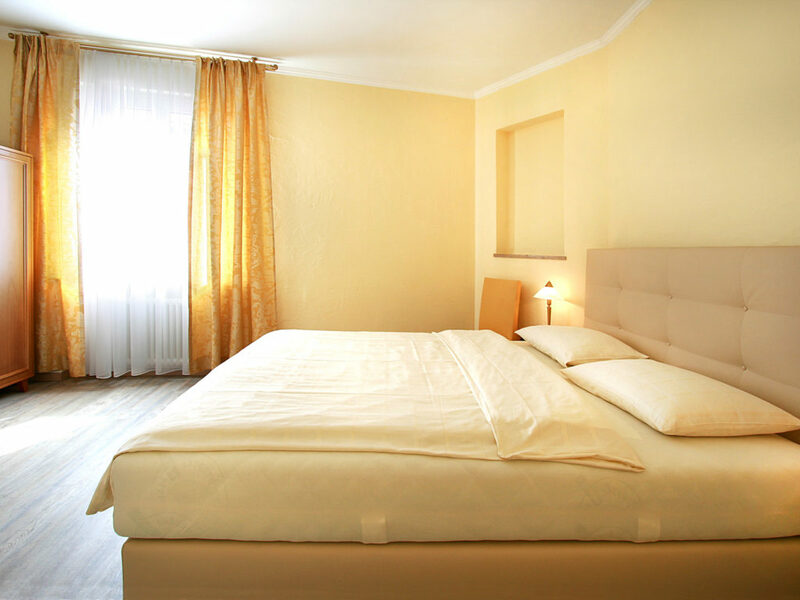 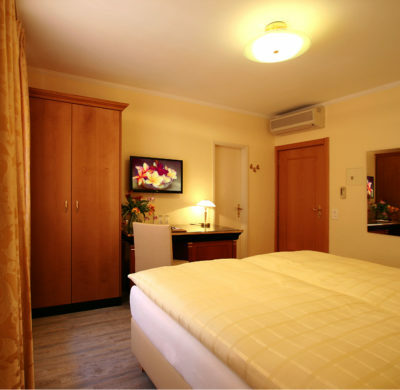 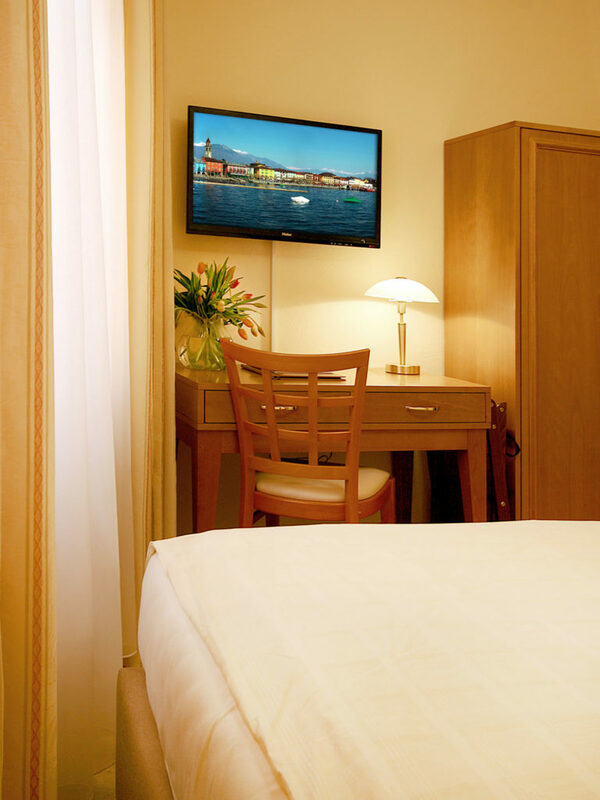 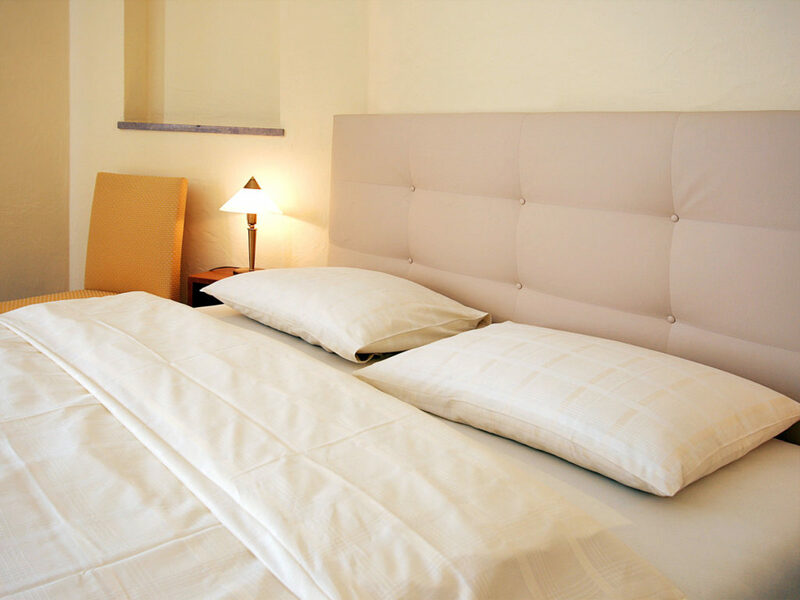 The rooms are lovingly and comfortably furnished, so that you can enjoy your stay! 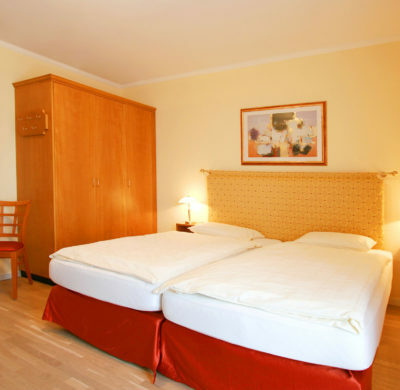 With 16-19m2 these are our smaller double rooms, which either have a king sized bed (160cm) or two adjoining beds. 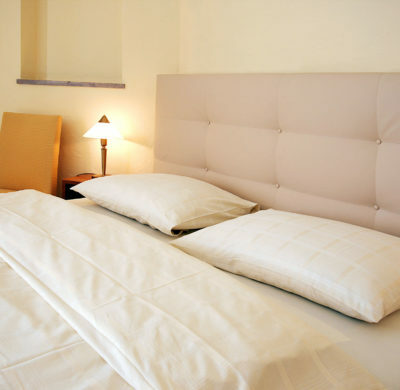 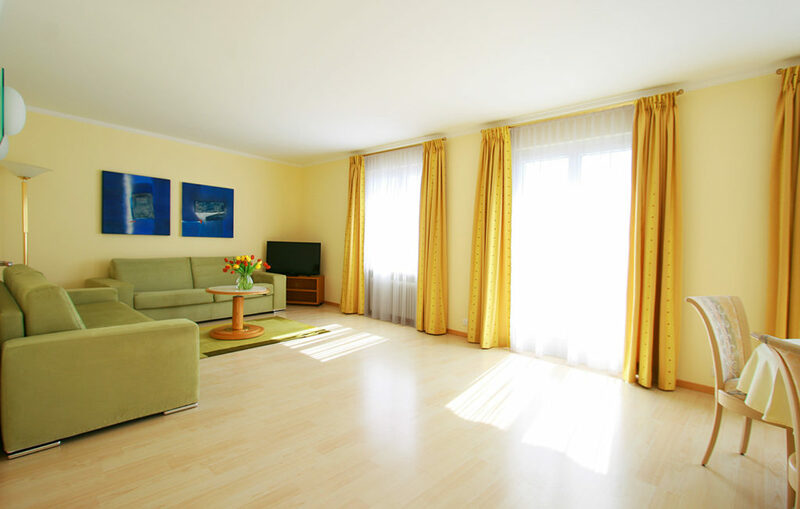 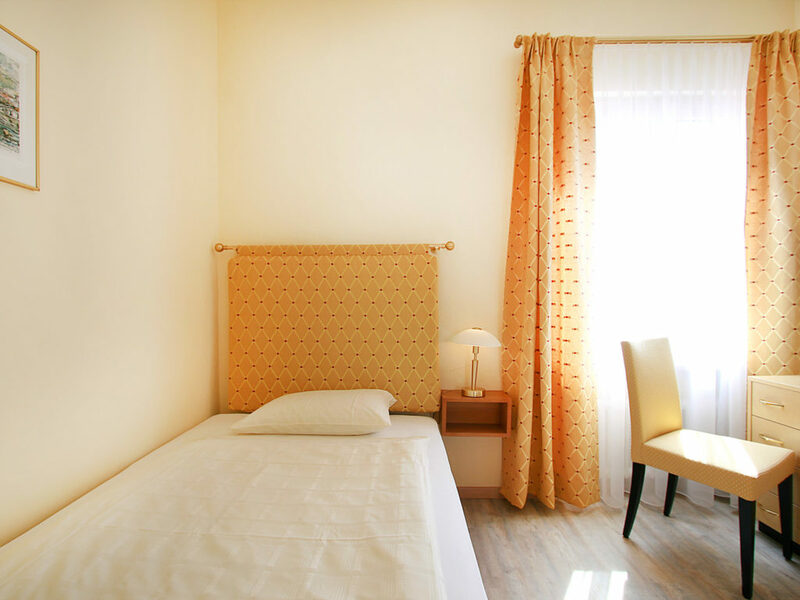 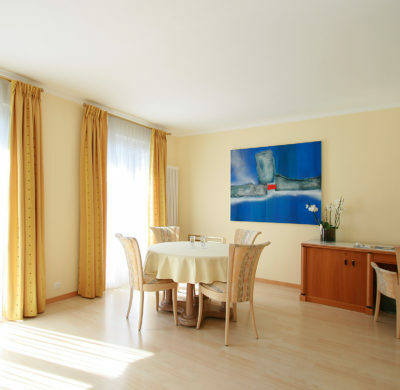 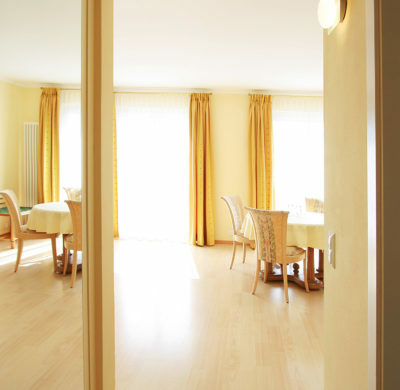 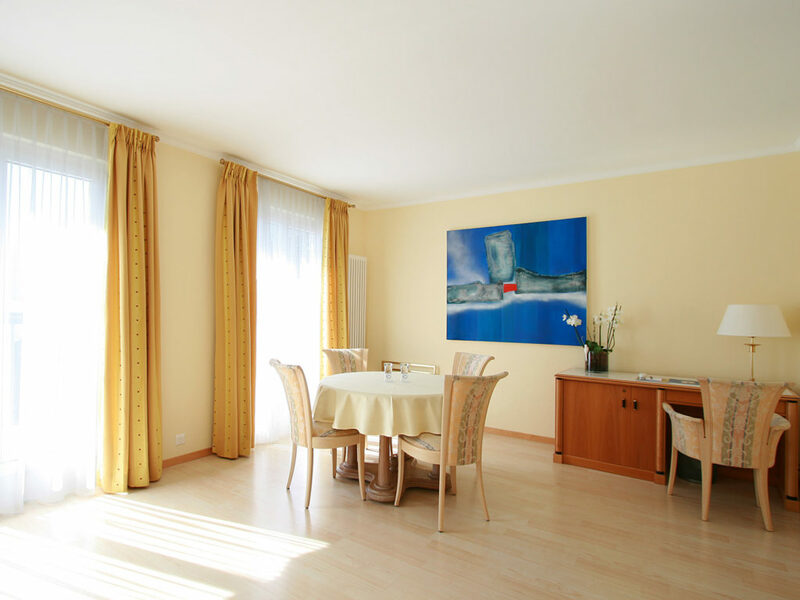 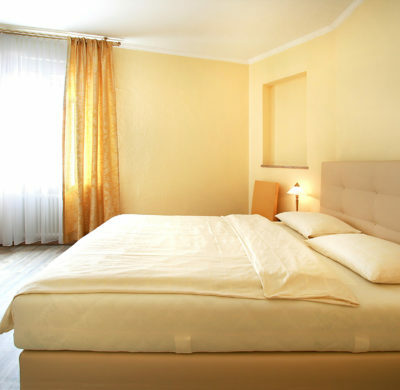 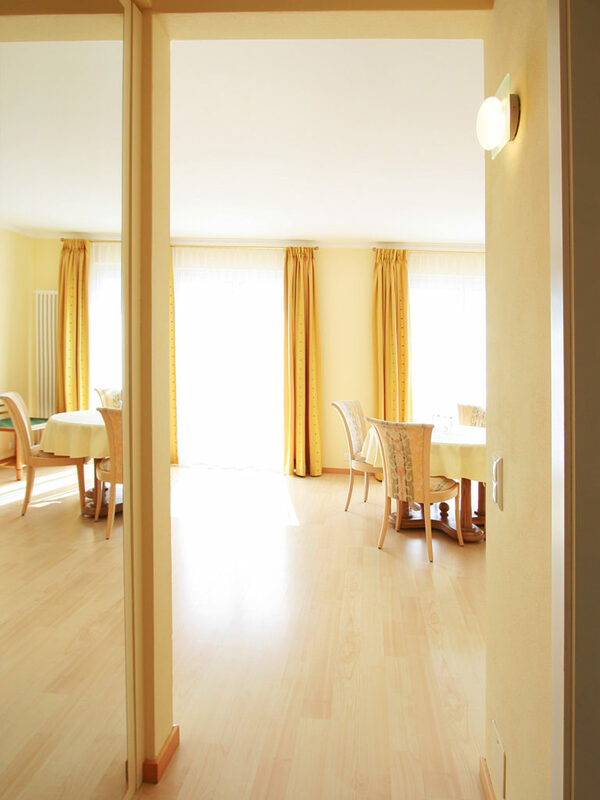 These rooms are located on the first or second floor and are also lovingly furnished. 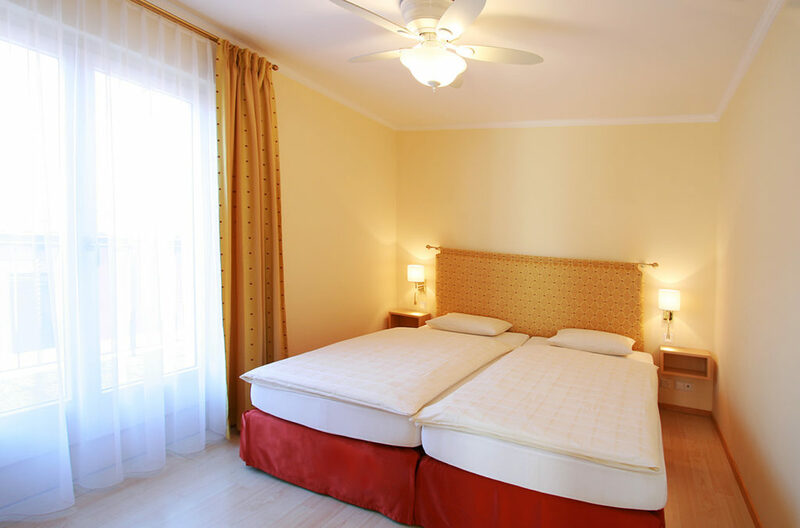 This comfortable double rooms are distributed throughout the house and they are facing the small lanes. 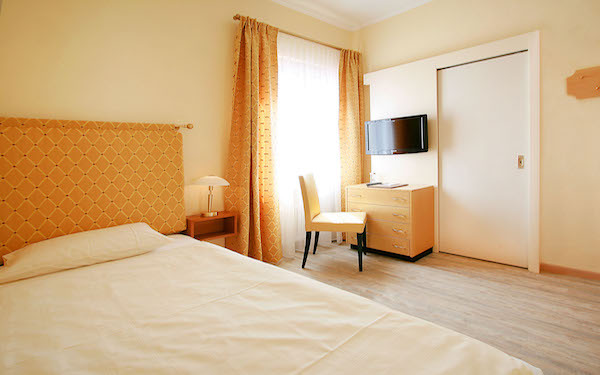 With 17-23 m2 these rooms are more spacious, have oversized beds and a desk with small fridge. 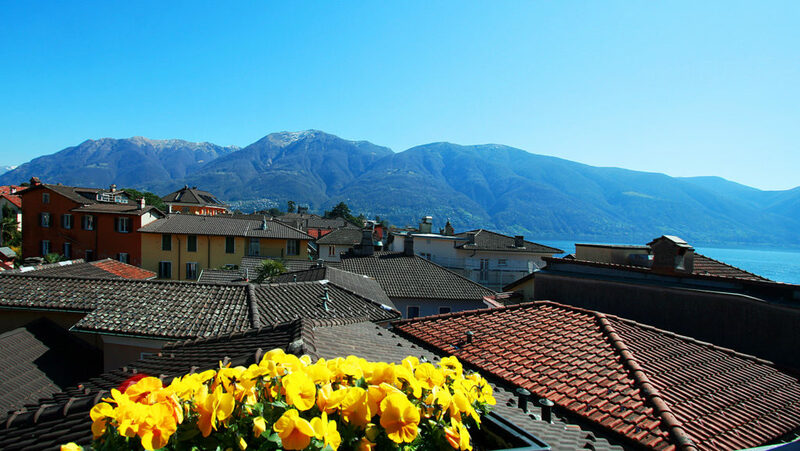 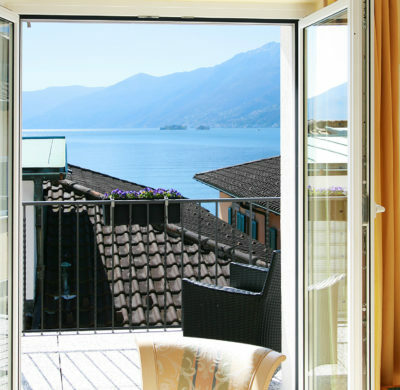 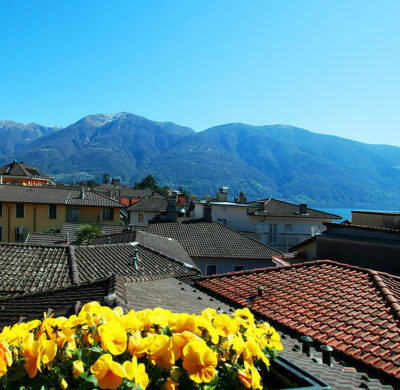 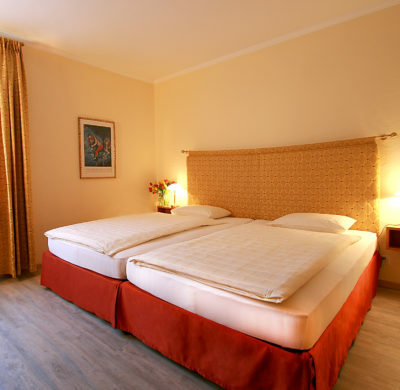 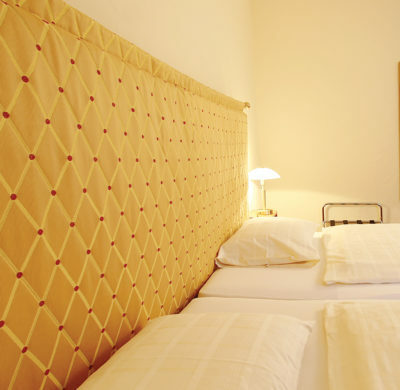 This comfortable double room is located in the third floor, with a lovely terrace with a nice lake view over the roofs. 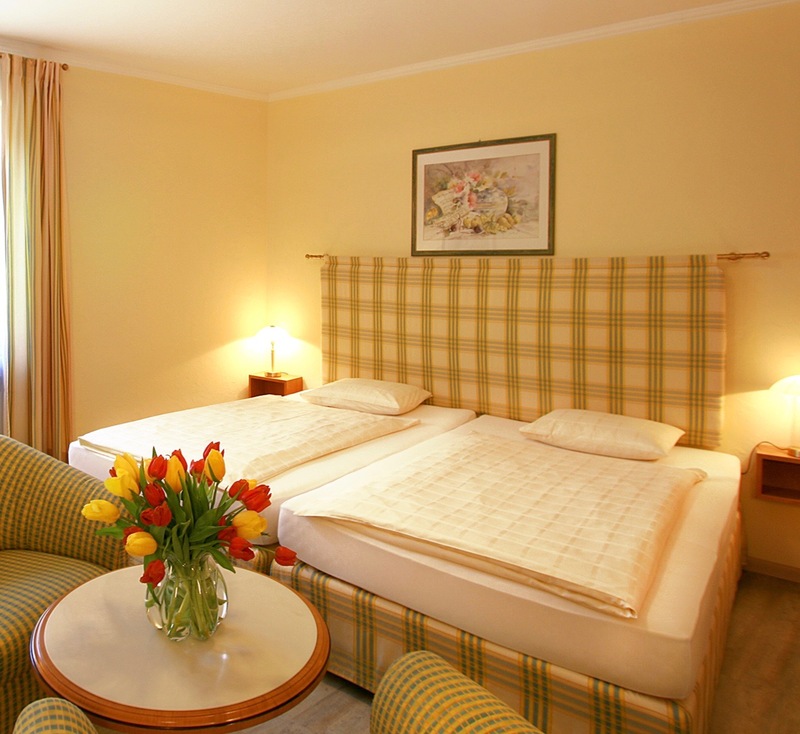 The Junior Suite is also located on the third floor and is our largest room (50m2). 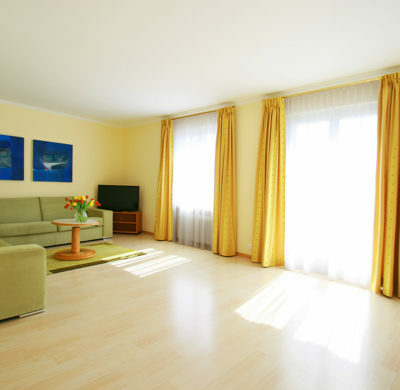 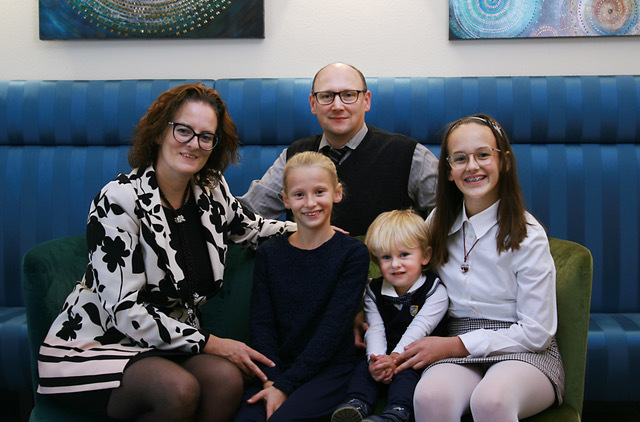 The light-flooded room has been lovingly furnished and has enough place to accomodate a large family. 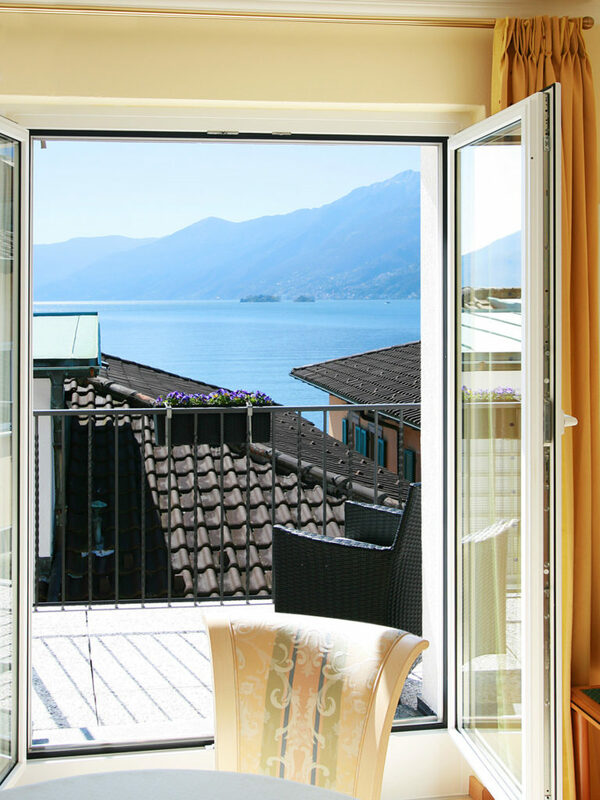 There is a cozy balcony to enjoy beautiful evenings with a lovely lake view. 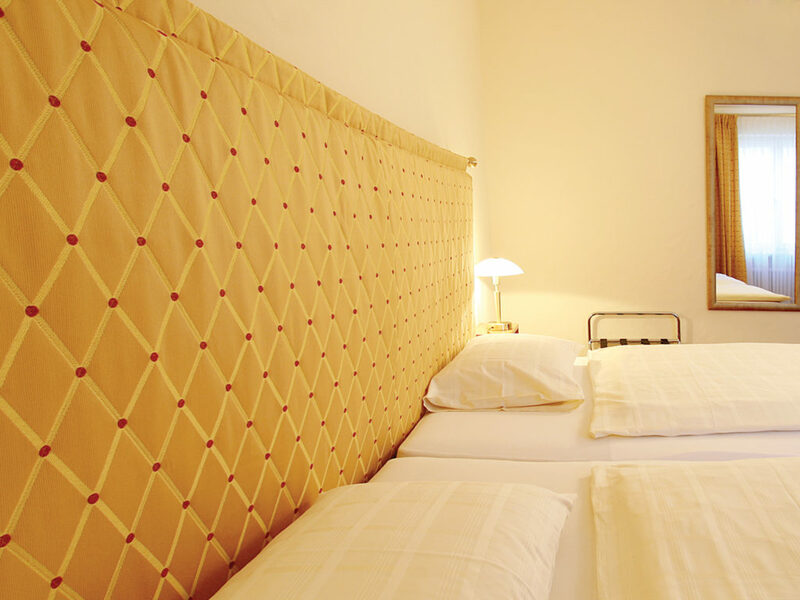 The perfect room for a romantic stay.